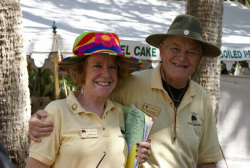 In 1998 The FRIEND'S OF WASHINGTON OAKS was established as a non-profit corporation to function as a Citizen's Support Organization (CSO) to support Washington Oaks Gardens and Faver-Dykes State Park's. Like all Florida State Parks, there are needs beyond the State's financial ability to provide. CSO's are designed to help provide the volunteers to assist the Park Manager with work projects and develop special events and educational opportunities. A CSO can also raise funds; seek and receive grants; accept gifts and bequests of money, tangible and real property, to benefit the Park. ONE HUNDRED PERCENT of ALL PROCEEDS benefits both Parks. The FRIEND's are proud to announce that the Homes, Gardens and Groves of Louise P. and Owen D. Young have been placed on the distinguished NATIONAL REGISTER OF HISTORIC SITES in September of 2009. With this designation we now proudly advertise the Washington Oaks Historic District and have completely three significant improvements to the District. The Friends helped restore a 1940's greenhouse, develope a new interpretive tour of the park, and construct a new stage! 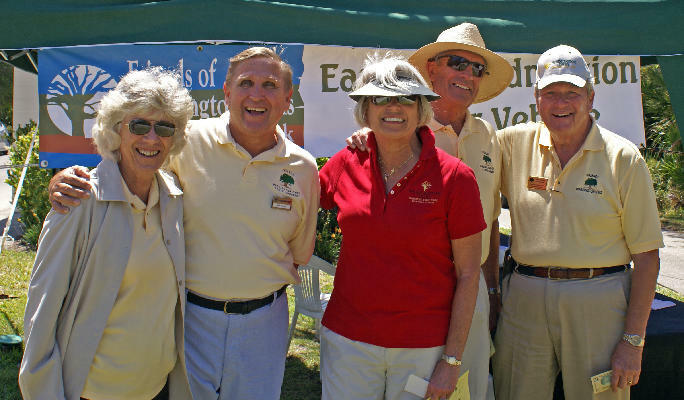 "Join us in our mission to support these two unique Parks by becoming a Friend of one of the most successful Citizen Support Groups (CSO's) in Florida, by making a donation and/or enjoying one of the many Park activities and events. Only with support from people like you can we help these Parks to be the best that they can be." Don Denby, Past President of Friends of Washington Oaks supporting Faver-Dykes and Washington Oaks Gardens State Parks. Membership benefits of being a Friend of Washington Oaks Gardens and Faver-Dykes include: Twelve annual visits without charge, monthly newsletter, 20% discount at the Friend's Gift Shop, invitations to Friend's special events and social functions, ability to accumulate volunteer hours towards State Park Passes and, especially, making new and lasting friendships. ​Individual Memberships begin at $20 per year.